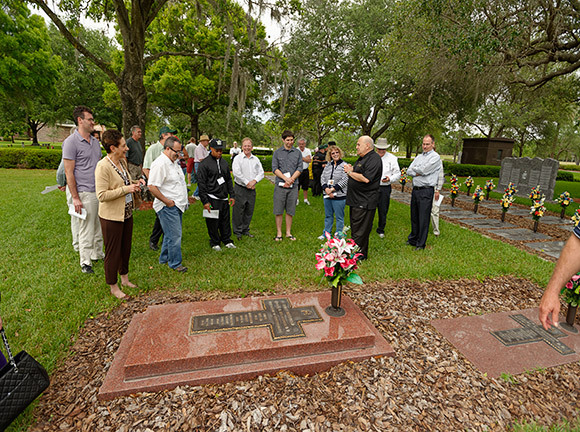 Father Argentino shares a light anectdote with tour participants about Bishop Charles McLaughlin, while visiting the grave of the first bishop of the Diocese of St. Petersburg. © Copyright 2019 Calvary Catholic Cemetery. All Rights Reserved.